I’m at the Love Is Murder conference in Chicago this weekend. 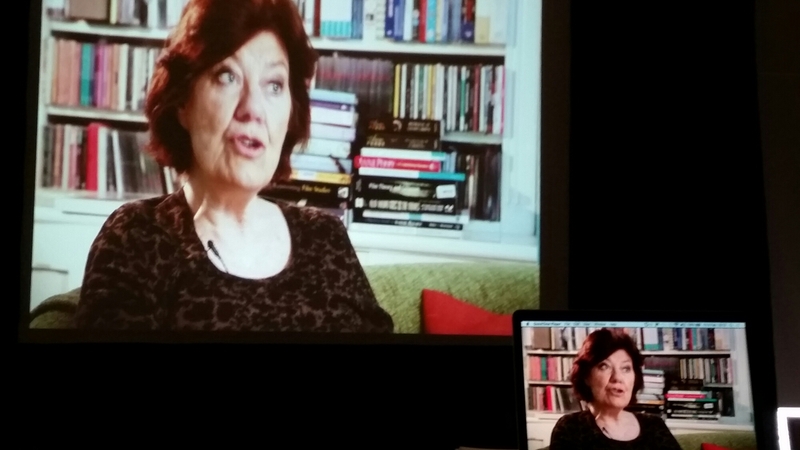 Yesterday we had a Skype session with the prolific and generous Anne Perry, who was in Great Britain. We also watched one of her two new “Put Your Heart on the Page” videos. (I took the photo from my seat while we watched.) You can get a copy from Amazon or on her website http://www.anneperry.co.uk/ You’ll hear even more of her writing advice on the videos than we heard in our master class. One of my favorite bits of her advice about backstory is to “drip, drip, drip” it into the plot so the reader learns it as she reads, but by the end of the book it makes sense of the whole story. It provides the motive for a character’s action and the engine for the plot.